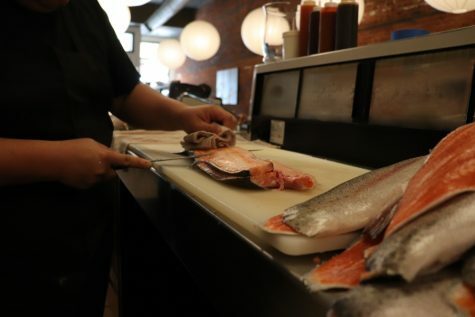 Aonami is Chico’s first sustainable sushi bar and one of only ten in the country. Jimmy Lee, owner and chef of Aonami, found it fairly easy to open the sushi bar because of Chico’s rich history of supporting sustainability. “It’s not hard to be a sustainable restaurant since there’s sustainable companies that want to get their business out there,” Lee said. 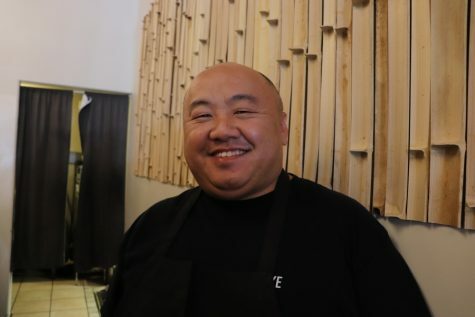 Although Lee graduated from Chico State and taught algebra for four years, he found his true calling in making sustainable sushi. His first introduction to the issue of sustainability was discovering the high price of Bluefin Tuna, which reached new heights in 2016 when 220 pounds sold for almost $40,000. After some research, Lee learned that the population of the Bluefin Tuna was decreasing. Moreover, a trip to the Monterey Bay Aquarium with his oldest daughter opened his eyes to the number of sea creatures endangered and overfished. After his stunning discovery, Lee requested to implement sustainable sushi at the restaurant he worked at, but quickly got denied due to the fact he was employed by a large-scale company with multiple locations. Unable to reach an agreement, he quit and opened Aonami. His main goal behind the sushi bar is to continue learning and improving for the betterment of our oceans and sea life. 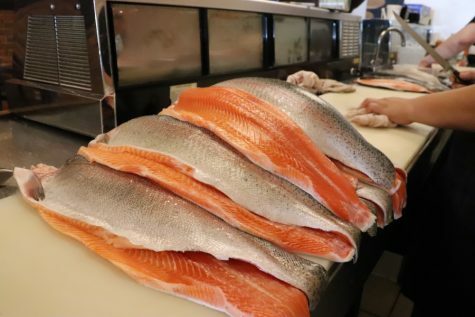 Aonami uses the Monterey Bay Aquarium’s online Seafood Watch to determine which fish to use for their sushi. The Seafood Watch program helps customers and businesses choose seafood that are fished and farmed in ways to support healthy ocean living. Furthermore, they only use fish not included on Monterey Bay Aquarium’s Red List or Avoid List. 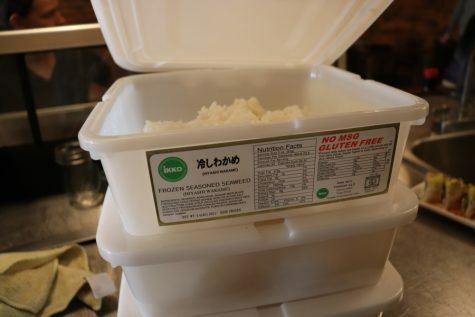 Aside from their seafood, almost all of Aonami’s ingredients and products are also sustainably sourced. They reuse packaging products that cannot be recycled and do not offer straws, to-go cups or plastic bags for takeout. 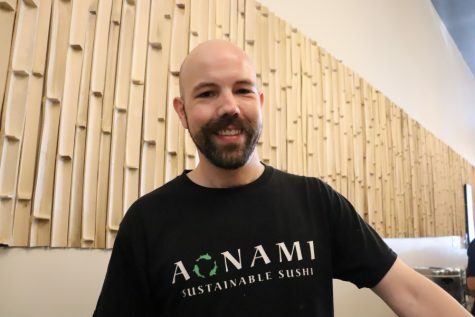 Cy Baca, sushi chef at Aonami, appreciates his work environment and gladly took the added bonus of being employed in a restaurant focused on sustainability. “I knew I wanted to work in a good place with good people and Aonami provided that,” Baca said. Lucky Poke, a fellow environmentally-friendly restaurant in Chico, comes from the same family tree as Lee’s brother owns the establishment. Aonami is located in Downtown Chico at 128 W. 2nd Street. 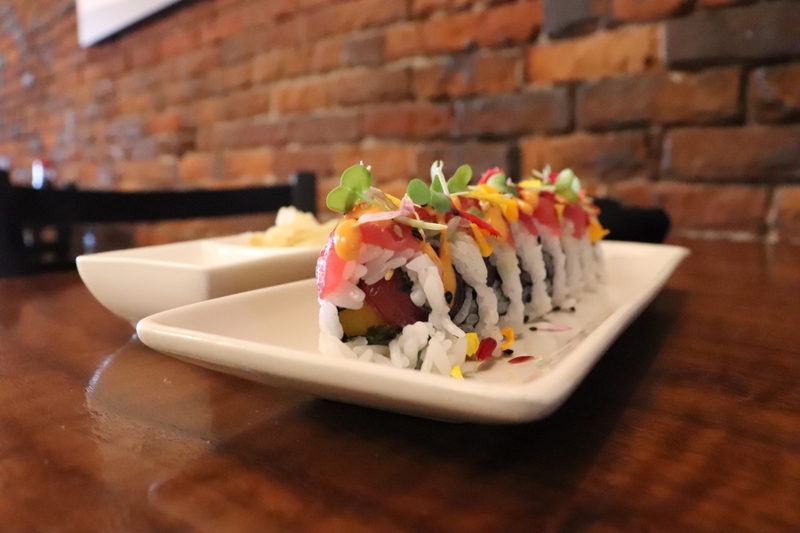 The sushi bar is open Monday through Thursday 11:30 a.m. to 9 p.m. and Friday through Saturday 11:30 a.m. to 10 p.m.
Great article! I love to read stories like these. Very inspiring and glad to hear Aonami is changing our environment towards a brighter future. Ecology is taken very lightly in many minds in today’s society. If ever in town I will definitely support this restaurant. Thank you Yaritza Ayon for this article, it was a pleasure reading it.